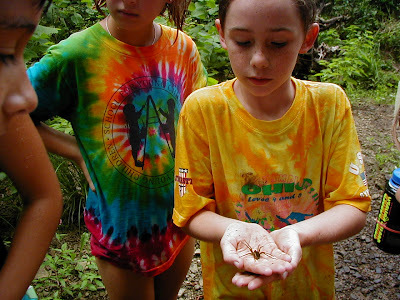 Due to overwhelming community demand, registration for the 2009 Sunday Creek Day Camp is now closed. There are over 40 kids registered for this year's day camps, and we are looking forward to a great week of fun in the watershed. If you missed the registration deadline, we apologize for the inconvenience. Please feel free to contact the Sunday Creek offices about next year's camp. If you have any questions about the camp, or your child's enrollment, please contact Heather Sheets (heather@ruralaction.org) or call the Sunday Creek offices (740.767.2225).